What is a Mercedes Benz Concept A Sedan? 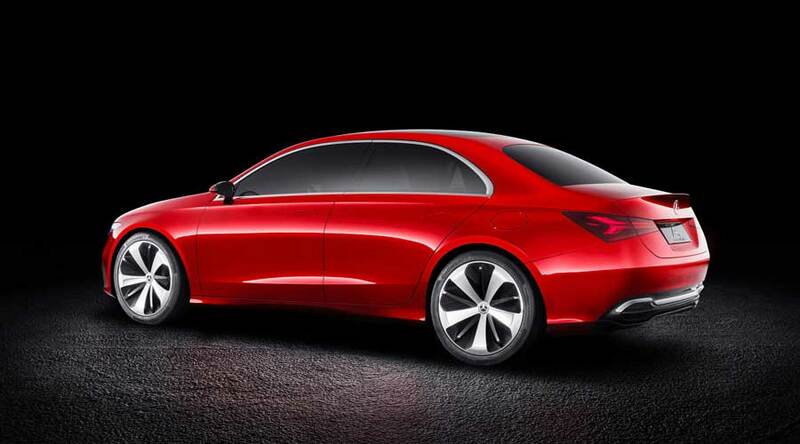 Mercedes Benz, German luxury car manufacturer, recently revealed Mercedes Benz Concept A Sedan. Mercedes unveiled the new design language in the compact car segment at Shanghai auto show. The recent change in terms of design will bring unbelievably stylish sedans in coming years. First of all, the concept A sedan showcases surface-focused design with less lines and gaps. This implicates seamless surfaces across the length and breadth of the car. This design language brings purity in overall design. At Mercedes, this concept is called sensual purity. With its perfect proportions and dynamism, we can really say that it is the purest of the pure. Benz is dominating its position in compact car market since 2012. More than two million compact cars were already sold. Breakthrough designs, connectivity, assistance systems, driving pleasure and model variety are the factors governing the record-braking sales. All this is not achievable without passion and that too at global scale. Mercedes Benz concept A Sedan is designed by keeping the proportions of dynamic coupe in mind. So, its a compact coupe like premium sedan. Large windows with higher belt line are some of the sedan-like characters which can be seen. Reduced wheel arch dimension highlight the exclusive 20-inch wheels. Furthermore, the door handles of the car merge into the body keeping surface seamless. The outside mirrors also highlight the overall design concept of the car. The alloy wheels featuring aero wheel look highlights surfaces and merge into current design theme. The most adorable feature of the car is its striking front. Tilted Panamericana grill features chrome inserts and presents the star in the middle. Large lower air inlet features diamond grid structure. The striking trim strip near air inlet and wide bonnet reflects self confidence. 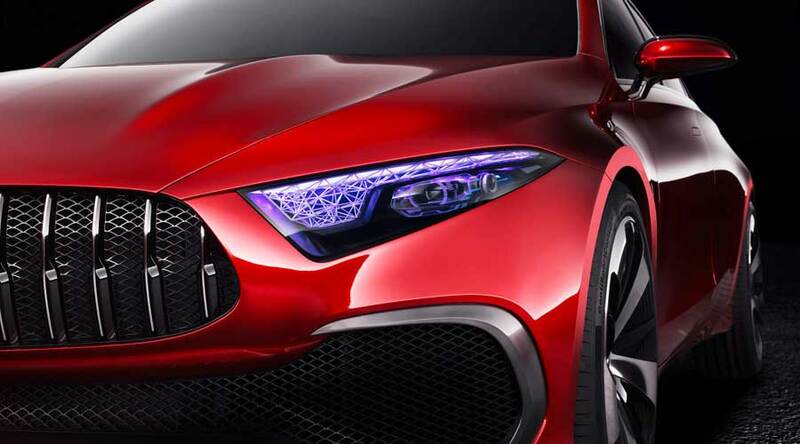 The headlamps of the car are most eye caching. The grid structure in headlamps is coated with UV paint. The headlamps also expose to UV rays during day and as a result headlamps glow in different colours depends on light medium. The same technology is also utilised in the brake lights at the back. Striking brake lights adds to the premium appeal of the car. In conclusion, the new design language will surely take Mercedes Benz further. And, it will change the way how compact sedans will look forever. Find some more details here.